This week marks the end of 2013, and inside Town Hall, we are quickly preparing for the coming year. Below are several New Year-related notes that will be of interest to a number of residents. In the meantime, on a more personal level, I would like to thank all our residents for the various roles they play in helping to keep our community moving forward throughout the year. As we look forward to a fresh start for 2014, I want to wish all our residents and their loved ones a festive, healthy and safe New Year. I hope you've had a wonderful holiday season, and I look forward to continuing to do great things for Cherry Hill, together with all of you. Happy New Year! The Cherry Hill Township Municipal Building will close at 3 p.m. Tuesday, Dec. 31, and will be closed on Wednesday, Jan. 1, for the New Year holiday. Township offices will open for normal business hours on Thursday, Jan. 2. Additionally, there will be no trash, recycling or yard-waste collection on Wednesday. All Wednesday routes will be collected Thursday; Thursday and Friday routes will be collected as scheduled. Recycling collections may be delayed one day to ensure proper RecycleBank crediting. For more information, please contact the Department of Public Works at (856) 424-4422, or Republic Services of New Jersey at (856) 234-4000. Cherry Hill Township will officially usher in a new year at the annual Reorganization meeting, scheduled for 7:30 p.m. Thursday, Jan. 2, 2014. I will join Township Council and many community members as recently re-elected Council members David Fleisher, Jim Bannar, and Susan Shin-Angulo, and Councilwoman-elect Carole Roskoph take the Oath of Office for a four-year term. Council will also select a President and Vice President for 2014. I know I speak for everyone in Town Hall and the entire Council, when I say we are looking forward to a bright 2014 for Cherry Hill! Registration is now open for winter recreation programs and classes, which begin the week of Jan. 6. A full list of programs can be found in the Winter/Spring 2014 editions of the Community Magazine, which arrived in homes earlier this month and includes upcoming events and activities through April. This season's offerings include Fashion Sewing, where kids ages 9-18 can learn what fun it is to be a fashion designer. Other classes include Mad Science, for children in grades K-5; a volleyball program for girls in grades 4-8, and Italian lessons for adults. View the complete catalog and register for classes by clicking here. For more information, call (856) 488-7868, or email Recreation@chtownship.com. This week, I want to recognize two more businesses celebrating more than 50 years of operation in Cherry Hill: Kress Wine, located at Berlin and Kresson Roads, and McNaughton's Gardens, on Kresson Road. Kress Wine opened in Cherry Hill in 1954, and was preceded by the Hess Tavern. It stands on the site of the Blazing Tavern, which operated there in the 1700s. Today, Kress Wine is managed by Mario Delmonte, and offers local residents an outlet for wine, spirits and beer. McNaughton's, at 351 Kresson Road, was opened by William McNaughton in 1929 as a South Jersey landscape nursery and has grown to include a second location in Somers Point. The local landmark remains in McNaughton's family, and is operated today by his son, Bill, and grandson, Scott McNaughton. Each of the businesses we've highlighted in the past few weeks has become a living piece of Cherry Hill’s history, and I’m honored to be able to recognize their longstanding investment and presence in our community. Read more about this project in the Courier-Post and the Cherry Hill Sun. If you know of a business that has been around for 50 years or more, please let us know by calling (856) 488-7878, or e-mailing me at MayorCahn@chtownship.com. Registration is now open for winter recreation programs and classes, which begin the week of Jan. 6. A full list of programs can be found in the Winter/Spring 2014 editions of the Community Magazine, which arrived in homes earlier this month and includes upcoming events and activities through April. This season's offerings include Fashion Sewing, where kids ages 9-18 can learn what fun it is to be a fashion designer. Other classes include Mad Science, for children in grades K-5; a volleyball program for girls in grades 4-8, and Italian lessons for adults. View the complete catalog and register for classes by clicking here [https://reconline.cherryhill-nj.com/] . For more information, call (856) 488-7868, or email Recreation@chtownship.com [mailto:Recreation@chtownship.com] . 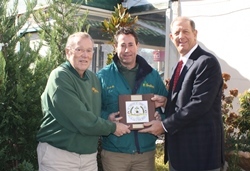 McNaughton's, at 351 Kresson Road, was opened by William McNaughton in 1929 as a South Jersey landscape nursery and has grown to include a second location in Somers Point. The local landmark remains in McNaughton's family, and is operated today by his son, Bill, and grandson, Scott McNaughton. Each of the businesses we've highlighted in the past few weeks has become a living piece of Cherry Hill’s history, and I’m honored to be able to recognize their longstanding investment and presence in our community. 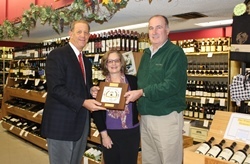 Read more about this project in the Courier-Post [http://www.courierpostonline.com/article/20131114/BUSINESS20/311140020/Cherry-Hill-honors-businesses-town-50-years] and the Cherry Hill Sun [http://sj.sunne.ws/2013/11/26/cherry-hill-honors-longstanding-businesses-of-50-or-more-years/] . If you know of a business that has been around for 50 years or more, please let us know by calling (856) 488-7878, or e-mailing me at MayorCahn@chtownship.com [mailto:MayorCahn@chtownship.com] .